I should write a retrospective. I’m more than halfway done but I still haven’t decided what my favorite games are. Hopefully, I’ll do that soon. This week I’m battling a rather nasty bug, but I’m still making progress. It’s an RPG system I’ve built from scratch and I thought it would be fun to make a playable version of this video. 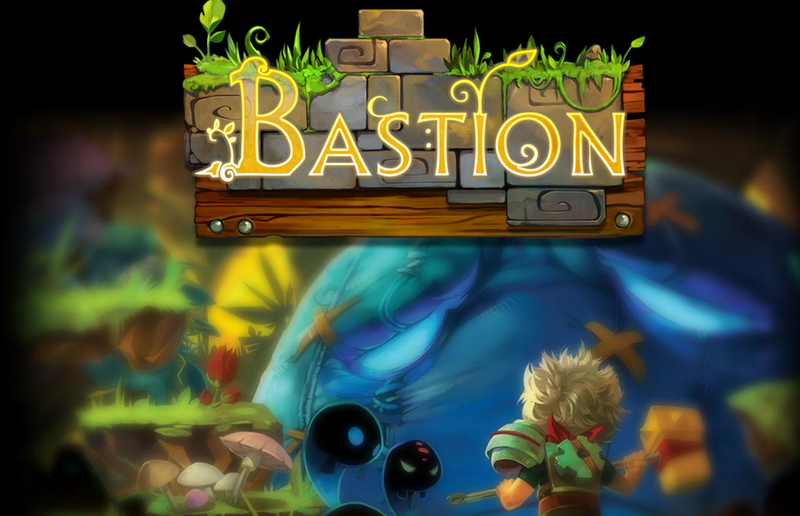 It’ll be up an playable soon. I LIED. The prototype still isn’t completed. Instead I decided to go off and make a start up. We secured a bit of funding and placed second in a state-wide competition, so that’s cool I suppose. The retrospective is complete, though. Tiles are created as prefabs. In my previous approaches I’ve created a single plane to act as the ground and then generated objects on top of the plane. When programing in Java etc, this saved resources and helped to reduce the number of objects generated. However, it seems like unity is ok with generating a prefab for each tile on the screen. I’m not sure how light-weight the prefabs are, but, considering there were a lot of objects in my last project, the number of prefabs doesn’t seem to bog unity down too much so I’m going to try out this system and see how it goes. 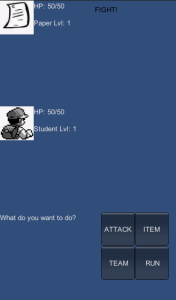 This is the coolest feature I’ve seen in unity for a 2d game. When clicking on a prefab select Edit>SnapToGrid and it will show a dialogue box that lets you customize how the prefab will try to line up with the grid underneath. After that is selected, holding control will allow prefabs to snap to the next available space when moving them around. Using this approach I was able to create a small map very quickly. Looks like using this system will save a lot of time when creating tile-based maps. Using game objects to organize. Looks like empty game objects are used to hold all tiles related to maps. We did some of this in my last project, and it certainly worked, but I wasn’t sure if it was standard practice in unity. Used this feature in previous implementations. makes sense for a 2d game, but I’d like to mess with the perspective camera to get a more picture book-y feel for a game like “The Woods”. 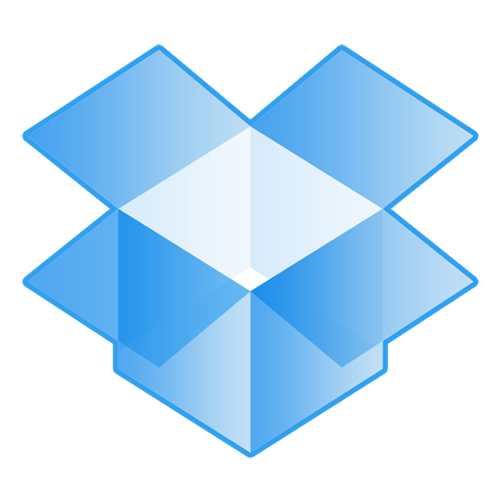 I recently ran across a lifehacker article that detailed how to use your dropbox as a server for a small website. 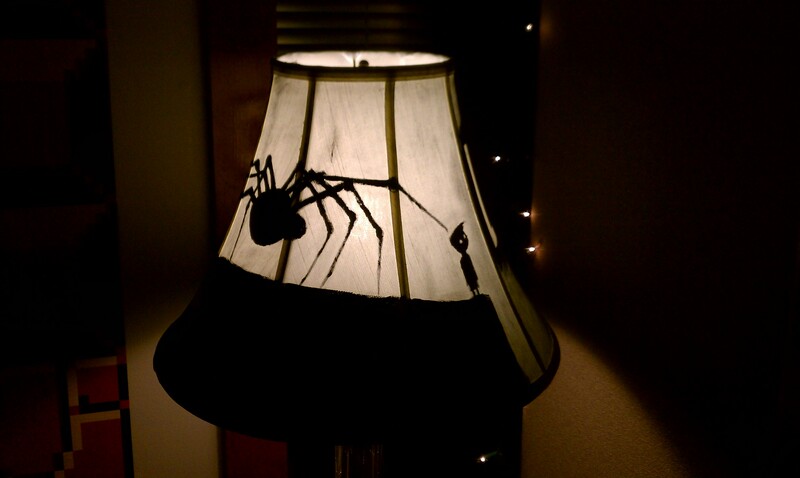 I thought it was awesome and fit well with a previous post, so I thought it was worth posting it here as reference. If anyone has tried this, leave a comment about your experience. Recently, I went to New York and found myself at the Nintendo World Store. In short, it was awesome, but not necessarily because of the stuff that was being sold. Don’t get me wrong, they have lots of cool stuff that you can’t get anywhere else (I picked up some Mario Bros. Pixel Playing cards). The coolest thing about that place: The staff. The Nintendo world staff was great! After talking to them for a bit you can tell they love games. In fact, they have a really cool display on the second floor made up of memorabilia donated by the staff. The display has stuff from Pokemon, Fire emblem, Earthbound and tons of other games. 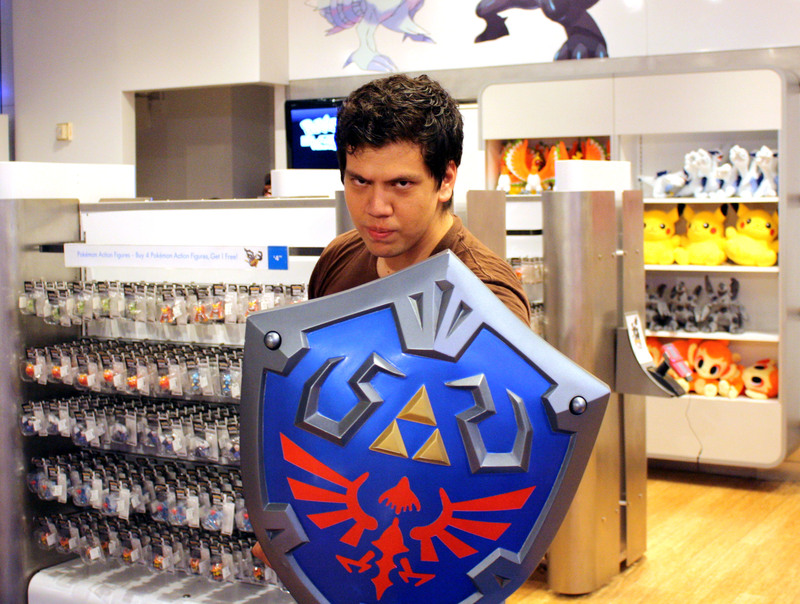 However, the highlight for me was being able to use a hylian shield! (It was heavy!) I wanted to buy it, but it cost 80 rupees. I will be hosting a roundtable at Meaningful Play. Information about it can be found here. Failure has transformed from simply not succeeding to something that determines the opportunities available to students. Failure becomes a label by which a student’s mental faculties are assessed. In its most malicious form, a failure can even manifests itself as a learning disability. At this point it has devastating effects on how the student views themselves, and how society views the student (McDermott, Goldman, & Varenne, 2006). With so much at stake it is no surprise that students do not wish to fail. That’s actually exactly why I think failure is interesting. You can learn so much from it, yet it can also be quite devastating. Thoughts about Failure? Leave them in the comments. Every so often I get a request to help with some techy stuff. To be completely honest, I love doing this kinda stuff because I like to make things. I also like to see things other people create things. Helping people to get blogs up seems to fill both of these needs. 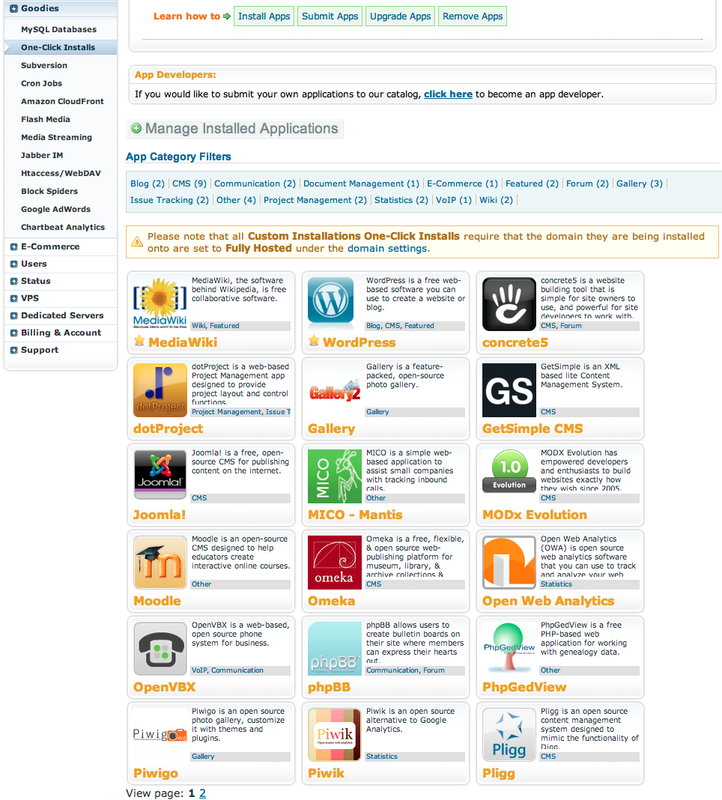 So, without further delay, how to build a website form scratch for 20$. A domain is a web address that people type into their browser to get to your site. These generally cost about 10$ and can be registered for about a year before they need to be renewed. I like Dreamhost (http://dreamhost.com/domains/) and have my domains there. You can do the same, or use any other domain service to buy your domain. Be creative and try to think of an address that people will remember. 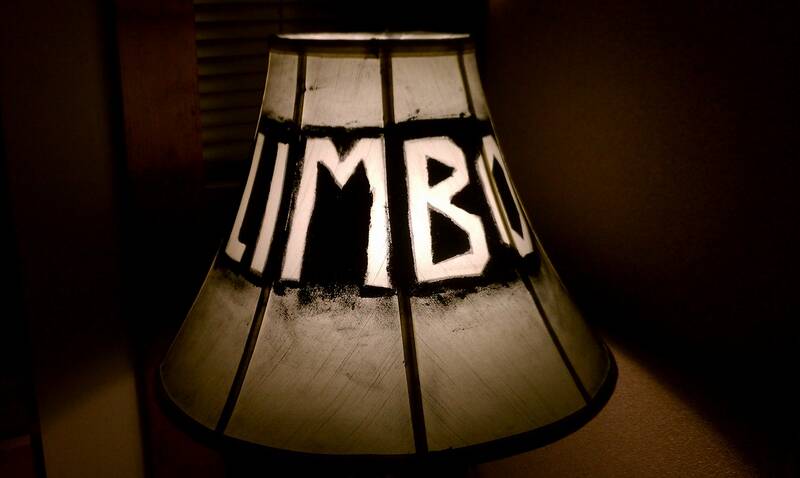 Sometimes, the name you want won’t be available so try a lot of different variations. Now that you have a Domain, it’s time to decide where you would like to host your content. In other words, you’ll be renting a computer from a server to hold the content that you put up (in this case, your blog). You can use your own computer to host a website, but that’s a little more complicated, and I won’t go into it for this post. Again, for hosting I use Dreamhost which clocks in at 9$/month. Dreamhost provides unlimited bandwidth, allows you to host multiple websites for free, and maintains the computers for you (which I think is helpful if you can’t maintain a server yourself). Once you’ve done both of the above, using your same account, you can now install your blog. 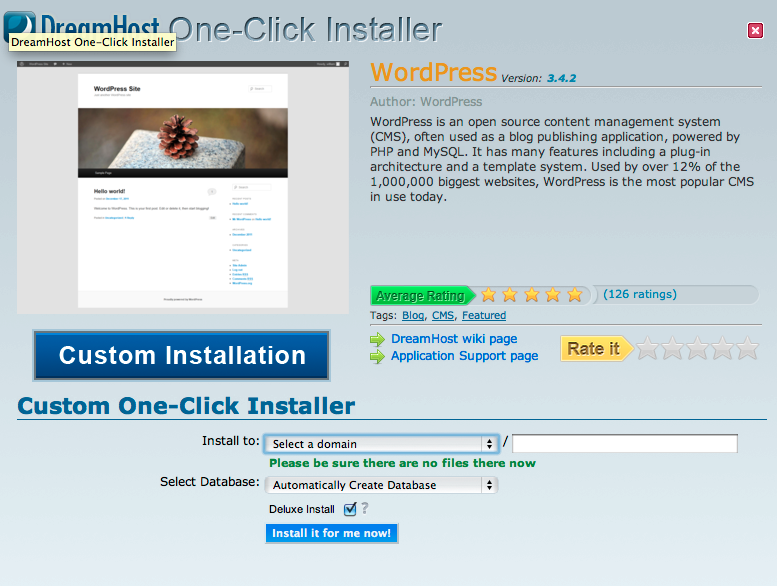 For this step we’ll use wordpress (http://wordpress.org/) and Dreamhost’s installer. Log into your dreamhost panel and click on the domain link on the side. Lots of information here, but don’t worry about that for now. Right now, just click on “Fully host domain”. The quick version of what you’re doing here is: you’re telling dreamhost to make a folder on their computer so that when people go to your domain they’ll see the stuff in that folder. In the future I might go into putting stuff into these folders using FTP, but for now we’ll just install wordpress. Almost done. Next, click on “goodies” and then “one-click installs” while logged into your dreamhost account. This will take you to a page that lists a lot of services you can install on your site (this includes wordpress). Click on the wordpress link and it’ll take you to the install page. Click on custom installation and then select your domain from the dropdown menu. Dreamhost should now send you an email saying it’s installing wordpress and will notify you when your site is ready. 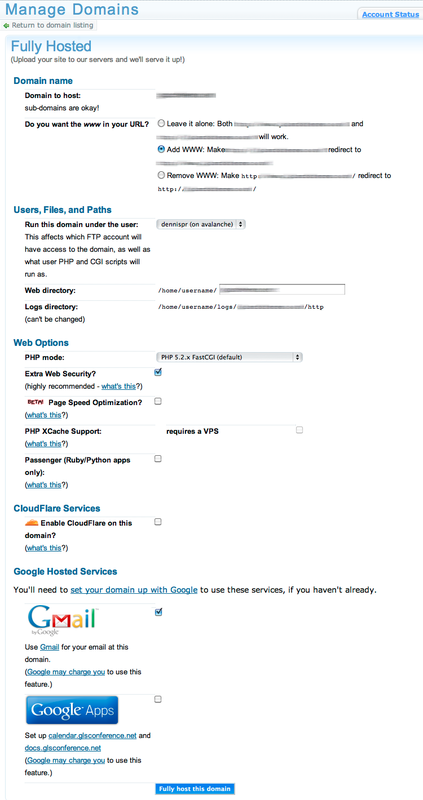 Once you get the “Finished installing” email from dreamhost, follow the directions to set up an admin account. You can now post things onto your blog! That’s it. You’re done. You can now go to the web address you bought and start sharing your thoughts. If you have any questions, or want to show off your new site, leave a comment. I need to start posting more. I feel like I need to start posting more. There are a lot of cool things i’m currently taking part in (developing /studying games, drawing, writing), and so little time to just reflect on what I’ve done. So here’s the deal. I’m going to try to write one new post a week on what i’m doing. Simple right? Sure… until I get self conscious and delete this post.